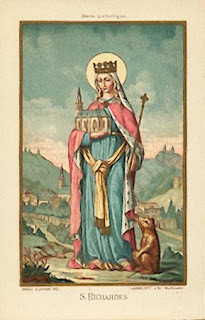 September 18, 2008: Feast of Saint Richardis of Swabia (Empress of the Holy Roman Empire). Scandalum Magnum: In English law, the defamation of a great man such as a peer or high officer of state. Both a tort and a criminal offense until repealed in the 1887 Statute Law Revision Act. The St. Thomas More Society at Marquette University Law School provides a forum for exploring the ways in which the Catholic intellectual and moral traditions can help inform our understanding and practice of the law. How should Bishops deal with pro-choice Catholic politicans?